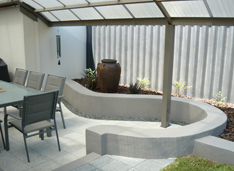 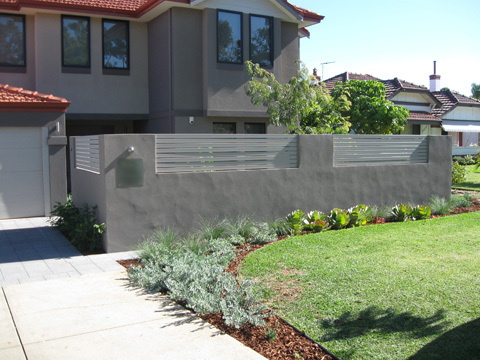 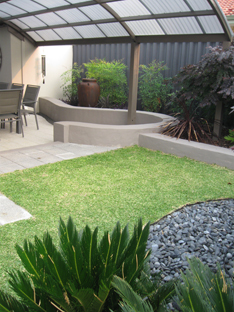 Garden Deva designed a contemporary style garden to complement the modern new lines of the clients newly renovated home. 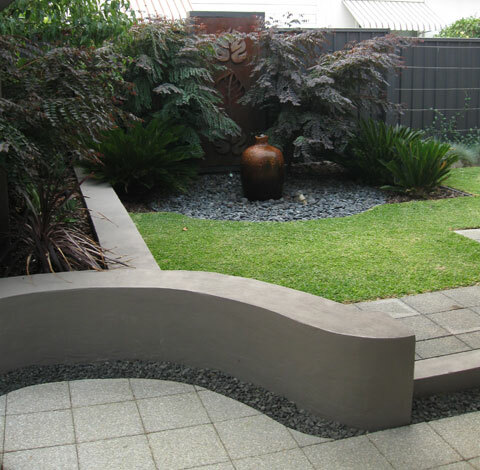 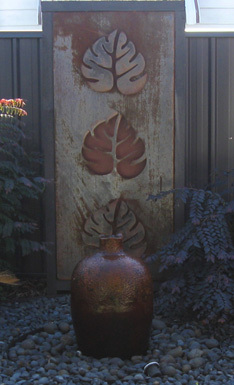 Architectural plants and a range of interesting shapes and surfaces are some of the highlights. 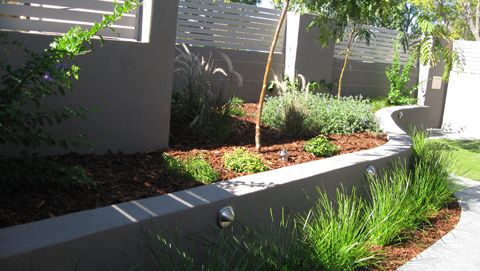 Low voltage garden lighting allows night time use of this great outdoor space.